Dominion Payroll offers payroll, HR, timekeeping, and pre-employment solutions to meet all of your business needs. We have offices in Richmond, VA, Dallas, TX, Charlotte, NC, Nashville, TN, and Tampa, FL, and provide services to clients in all 50 states. Our dedication to customer service has helped DP grow to thousands of clients ranging in size from 1 to 2,500 employees, and we have a wealth of experience helping clients of all shapes and sizes manage the business of employment. DP is quickly becoming the premier choice for customized payroll and HR solutions, and we’d love to serve you! DP is more than a payroll company-we are a community champion. We pride ourselves on achieving great things together as a team. We bring solutions to the marketplace and strive to delight our customers every day. Additionally, we are engaged in our communities and contribute to local non-profits. We will provide best-in-class value, functionality and service for integrated payroll and human resource products and services. We will go the extra mile to exceed expectations by continuous consultation to assist in improving our client’s business. They will know that we believe that they are important. We are the number one choice in our region by providing the highest level of service coupled with the best integrated payroll and human resources software in the industry. Our culture is a key value to the relationship we have with our community, clients and employees. About 16 years ago, the Davids — Gallagher and Fratkin — had both had successful corporate careers and were looking for a new challenge of their own. Gallagher had worked for years at a Fortune 100, publicly-traded company overseeing the national sales group on the West Coast. Meanwhile, Fratkin had a great deal of success managing various start-up firms and spent about a dozen years with Verizon Communications in management positions all over the East Coast, eventually administering payroll for their over 80,000 employees. 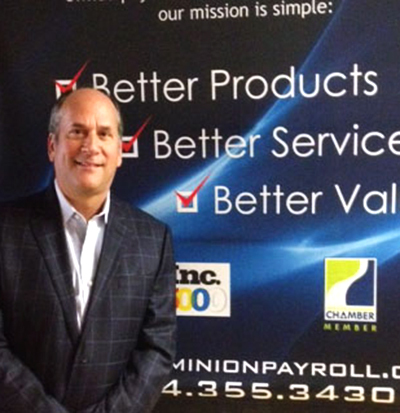 Dave Gallagher is the CEO of Dominion Payroll, proudly supplying payroll and human resource services to thousands of clients. Dominion Payroll, an Inc. 5000 company, focuses on the Richmond business community while also working with clients from coast to coast. 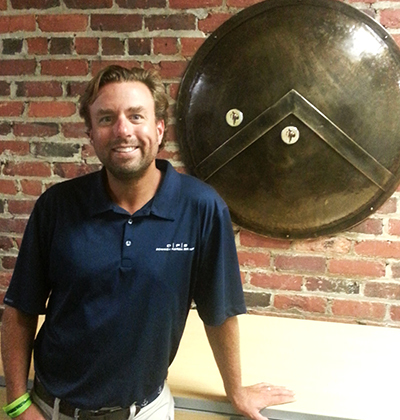 David’s career began with Coopers&Lybrand, utilizing his schooling in accounting, tax and consulting. Later, he became a Sales Director with a large, publicly-traded payroll company and eventually managed their national sales group on the West Coast. After giving several years to the multi-national payroll provider, David realized the industry lacked true service to both its customers and employees. In Richmond, David started Dominion Payroll to provide an alternative that didn’t just supply products, but focused on offering valuable customer service to clients and a healthy work environment for his team. David is an active member of several leadership boards, including the Richmond Center Stage, the Visual Arts Center of Richmond, Chamber RVA, the Children’s Museum of Richmond, and the Collegiate School. 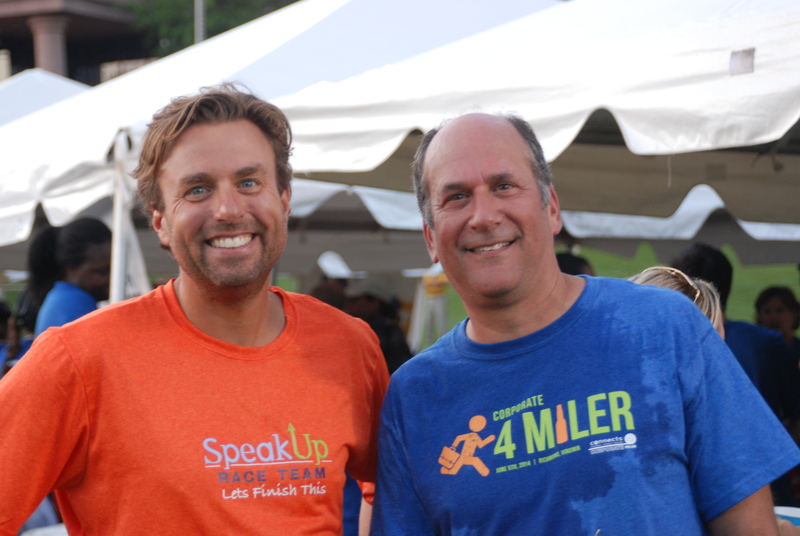 Dave is also the co-founder of the SpeakUp5k and the Cameron K. Gallagher Foundation. Here at DP, we owe a great deal of our long-term success to the wisdom, ambition, and vision of our two founders: David Gallagher and David Fratkin. David Fratkin, President, grew up in Richmond, Virginia and attended Freeman High School before he went off to the University of Arizona. David realized that to meet his dreams and goals in the business world, he would need to continue his education further. He attended Loyola College in Maryland where he earned his MBA. David built an impressive career at Verizon. After twelve years of service to the company, and holding various managerial positions in finance and operations, David left Verizon as the Director of Payroll. He went on to fill an executive role at a national direct mail service for several years before helping to form Women’s Sports Network, a sports marketing firm in New York City. When the luster of the big city had worn thin, David moved back to Richmond to take time off from the business world and look for a new project. He met Dave Gallagher, who had moved back to Richmond recently as well, and had started a payroll business with $7,000 and a space in his parent’s garage. David Fratkin’s business development, finance and managerial experience perfectly integrated with Gallagher’s vision and sales abilities, and they have been business partners ever since.